Words by Kevin Doocey on September 20, 2014 . The atmosphere promised to be toxic. That very word had been bandied around the offices of every media outlet covering Newcastle United ahead of their home encounter with Hull City. The SackPardew campaign had gone down seamlessly and was going nicely up until kick-off. As crowds filtered into St. James’ Park, security guards confiscated hundreds of banners and posters, despite the protesters being given a written go-ahead from the club and the local police. In true Mike Ashley style, promises were broken and in the end, the protest did not achieve its full capacity within the stadium. The 5th minute was greeted with some murmurs for the crowd, whilst at various intervals during the game, Pardew was reminded of his place. However, even when trailing 0-2, Newcastle supporters never caused huge uproar. Dare I say, it probably didn’t even reach the levels of the side’s last win at St. James’ Park, when they saw off a beleaguered Cardiff City. Perhaps it was the true nature of the Newcastle United supporters that shone through. They urged the players on and acted as the infamous ‘12th man’ when Papiss Cissé grabbed one back with just minutes remaining. When the Senegalese forward tapped home his second to restore parity, for the most part, SJP erupted. It was a spirited comeback , but inevitably, a result which only prolongs the painful situation we find ourselves in. Alan Pardew stuck to his promise of manning the touchline during the height of the protests, but in truth, he didn’t have much to worry about. Hull City took the lead just after half-time which a stunning effort from Nikica Jelavic after an error from Jack Colback. They doubled their lead through an unstoppable piledriver from Mohammed Diamé who celebrated by high-fiving Hatem Ben Arfa in the stands. After that, Hull City collapsed. They looked like they wanted to let Newcastle back into the game. Poor passes, individual errors, and plenty of miscommunication eventually led to Cissé’s first goal, which in all fairness, was a good strike, although Allan McGregor will not look back on it with much pride. The equaliser, and the goal which seems to have extended Alan Pardew’s stay at the club for a while longer came from a lovely knock-down from Yoan Gouffran inside the box, with Cissé slotting home in the same style that we became used to when he joined us initially. The team pushed for the winner but couldn’t muster up another clear opportunity, much to the relief of a disappointed Steve Bruce. Truth be told, Hull threw the game away. 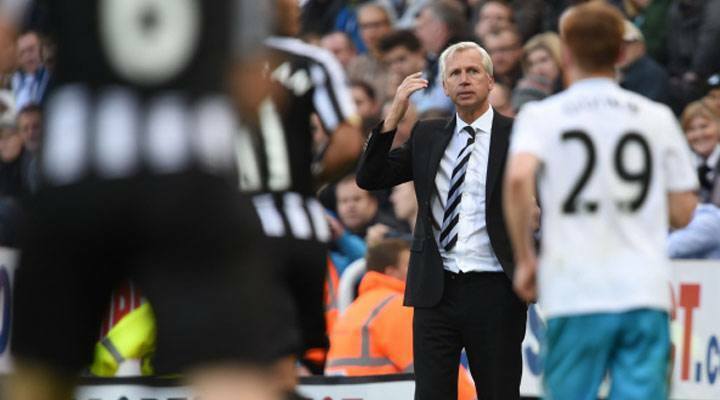 Sadly, their inability to see out the game has given Alan Pardew some undeserved breathing space. He won’t be sacked for at least another fortnight I would imagine, but pressure will surely mount once again when Newcastle United inevitably surrender when playing away from home. Whatever way you look at it, today was two points lost, and more importantly, another missed opportunity. Pardew thinks he has saved his bacon and while that may be true, he is only prolonging a painful, unwelcome stay on Tyneside. Comments welcome as always folks.